It's a new year and our duck season is winding down. it was one of the best as far as sheer numbers of ducks in our marshes. The fishing hasbeen okay but it is just now starting to EXPLODE.... As the weather warms up it will just keep getting better. Redfish, sheephead and black drum are loading up at the near shore oil rigs and now is the time to come and make a meat haul with us. The trout bite will get good as well. We have all the duck blinds ready to go for this Saturdays duck opener. Our marshes are stacking up with gadwall and teal. Each front will push new flocks of ducks down to the southern end of our fly way. We have open dates give me a call to get in on the action. The weather has been hot but the fishing is even hotter. Redfish and speckled trout have been biting. Bull redfish are in the major passes in large schools. We call it the RED TIDE sometimes its schools of 1000's of fish up to 50 lbs. If you prefer to catch the smaller slot redfish up to 30" long we are catching them in shallow water sight casting gold spoons. Speckled trout are biting under the birds as they are chasing shrimp and pretty easy to locate right now. For the duck hunters we allready have blue winged teal showing up and our marshes are full of grass which means a great duck season forecast. Bowfishing has been awesome as well, shooting lots of reds and some big ALLIGATOR GARFISH. SUMMER IS HERE AND THE FISHING IS ON FIRE!! Been so busy to post a report but the fishing has been on fire!! Everything is biting....Redfish, speckled trout, black drum and sheephead. March 24th we found a massive school of trophy bull redfish. they were crashing bait on top of the water. Every cast my crew were hooked up with redfish up to 35lbs!!! Limits of ducks and reds all this opening week!! We have days open for the rest of the season. Call me to book a trip today. We have been catching fish non-stop all summer!! It has been one of the best years in memory for fishing. Right now the redfish and specks are biting like crazy. Then our teal season will start on Sept 15th, and we are loaded with teal allready. This will only be a taste of whats to come for our big duck season opener on Nov. 11th and it will run through January. Call me today for a world class fishing , duck hunting or blast amd cast trip. This month the mild temps have all species of fish biting. 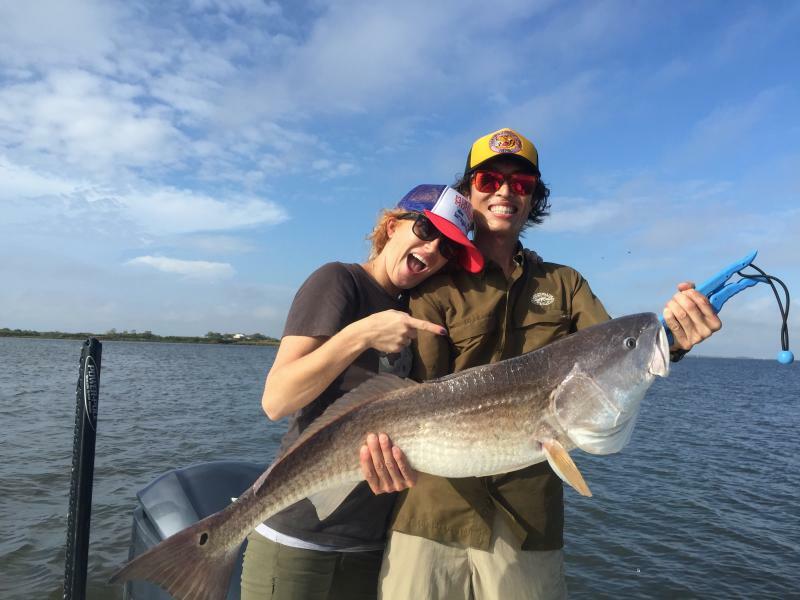 We have been catching boat loads of bull redfish, drum and sheephead. Guaranteed to have a great time reeling in these monster fish. If you are looking for speckledtrout we can put you on them as well. We are in such a great location that we can also catch largemouth bass and crappie within a short boat ride of catching reds and trout. so if you wantedto catch all these species in the same day Iam your guide. The bass and crappie spawn is early this year and is in full swing. Cold fronts are pushing new ducks into our area as we head into Thanksgiving week. Going to be a great finish to our first split . The redfish and speckled trout fishing is on FIRE!! Limits of reds and specks has been the norm for the last couple of weeks.. Glenn Miller and crew kept 40 redfish and over 100 trout each day on Monday and Tuesday. We must of released as many reds as we kept. We have dates open for the rest of the season, call to book your hunting and fishing adventure with us. We will show you a great time. Today on 9-8 we had non stop action catching monster redfish. You could pick the one you wanted to catch. They were eating matrix shad pink on a 1/4 oz jighead and Johnson gold spoons in 1/2oz. Then we topped off the cooler with some nice marsh bass on bandit crankbaits and zoom plastics. Only place in the world you can catch redfish, largemouth bass, speckled trout, flounder, drum, sheephead, white perch all in the same areas!! Absolutely one of the best months to fish with us in Louisiana. Everything is biting. Right now is the peak of our summer speckled trout bite. When the weather permits we have had 100 speckled trout before 8am. The redfish are always biting. The slot reds (16-27" ) are showing up in large schools in the marsh and the bull reds are on the edge of the gulf in large schools eating anything that you throw to them. I am talking about 100's of reds averaging 30 pounds!!! Call me today to book your trip!!! It's Springtime in South Louisiana and the fishing is heating up. We are catching redfish, speckled trout, sheephead, largemouth bass and sacalait aka crappie, aka white perch... We can catch all the above in the same day within a few miles of each other!!! Right now the trophy bull redfish are stacked up at the shallow oil wells located within a short boat ride. Also we can load the boat with big sheephead, no limits!!!! If it's speckled trout you want ...we got that too. We have the best fishing in the world, come get in on the great action. Let me be your guide to the excitement. The fishing is hot too. Redfish, speckled trout, drum and sheephead are biting like crazy. This will make for a great trip...limits of ducks and redfish ...all in the same day..wow .. We will show you a great time as well. Fall fishing is here...The water is cooling down and the fishing is insane!! Now is the time to get down to Louisiana for a fishing trip of a lifetime. The 16" to 30" redfish are in the shallows eating gold spoons, and bait under a cork. The bull redfish and drum are still in the deep passes being caught on crab. Speckled trout are showing up in the interior lakes and bays as of the last week in October. Duck season is right around the corner with an opening date of November 7th. We have the blinds brushed and the ducks are showing up with each passing front. The marsh looks great with no hurricanes in the last few years so the ducks will have plenty to eat this year. This is the month to get in on the bull redfish action. Right now the big reds are in large schools and they are hungry. All the barrier islands and passes are loaded with trophy redfish. The speckled trout bite is still pretty good but they will be in transition , heading inshore after we get a cold front. The teal are showing up now and our big duck season will open on November 7th this year and run through the middle of January. HOT!!! Describes the weather and the fishing in South Louisiana this month. We have been limiting out on redfish early and getting in beofre it gets too hot. Duck season is right around the corner. with teal season opening in September..get your trip booked soon before we fill up. This is a great time for a blast and cast. I had Ronnie and Ryan Kingry with Charlie down the second week of July and we smoked the redfish!!! Boat loads of big reds. Triple and double hook-ups all morning long. Great times with great friends!! The peak fishing time of the summer is here!! It's hot outside but the fishing is even hotter. We have been limiting out before it even gets hot in the morning. Redfish and trout, call me to schedule your trip today. The first full moon in June and the fishing is off the charts. Better than the last three years!!! Whatever you want to catch, they are biting. We have been catching trout on live shrimp, crokers, matrix shad plastics and mirrolure she-dog topwater baits in chartreuse. The redfish are biting in the shallows like always, come load the boat with both species. The speckled trout have showed up at their summer time holes. Last Island, Timbalier Island and all the wells in between. Double rigged matrix shad plastics are all you need. The redfish are schooled up in the shallow bays and are eating up johnson gold spoons. We have some openings for next month so call me today. If you want to stay in the marshes.. the reds and trout are tearing it up with the water warming up. Big trout on topwater and redfish on topwater and gold spoons. Sight casting to huge schools of tailing redfish in only a foot of water. Bowfishing is also great...If you want to catch fish come to Louisiana and let me take you on a trip of a lifetime. We had a great duck season...Thanks to everyone that came with us and made the 2014/2015 season a great success. Lots of new customers and life-long friends were made. We shot ducks and caught fish every day of the season. Right now we are having the best redfishing that we have seen in years...with the mild weather they are in the shallows and they are HUNGRY!! Sight casting to large schools of trophy redfish in only a foot of water and watching them fight for your lure. Call me today to get in on the insane action..